Social media -- specifically Instagram -- has been the bee's knees in marketing for a while now. But experts know that boosted ads don't really help with conversions or sales anymore. 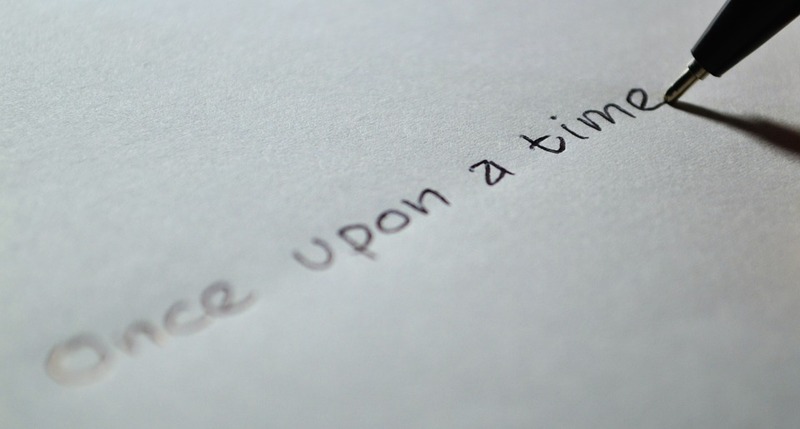 What consumers want now more than ever is storytelling marketing. Many brands still swear by social media marketing and influencers. But smarter money realizes that social media marketing does not and will not work for every product. Every company is constantly trying to “break through the noise”. In a market so inundated with products and advertisements, consumers often ignore the constant noise of online advertising. In order to break through the sea of ads, you have to adopt a narrative. To attract customers, you need to catch their eye. To do that, you need a story. What does the above image say to you? What is the woman working on? Is she starting a new business or maybe working on her Master’s Degree? These are the kinds of questions relevant to storytelling marketing. They’re also your new secret content marketing weapon that you need to master. Many high-profile brands have implemented something playing at this idea, but often fall short. Consider Coke and Pepsi’s famous ad campaigns like “Share a Coke” or the “Pepsi Generation” campaign. Both of these campaigns play on two great impulses: friendship and identity. However, people are now accustomed to these big-name soda brand ads and the accompanying sugar levels present in the products. People don’t want to be a part of that generation or share that with friends. The popular comedy sketch show Saturday Night Live even parodied a Kendall Jenner Pepsi commercial for its lack of social awareness. In the same ways that modern markets want authenticity in their ads, they want representation and narrative. Hashtags are more for sorting than for anything else these days. And Instagram, while still useful for some brands, largely won’t increase website traffic or conversions anymore. Users need more than pretty pictures and faces promising them things. They demand a story that will give them more than just an ill-advised and poorly executed promotion of a product they feel they don’t need. Storytelling marketing functions much like crafting an actual story: you need to have distinct segments and goals. In the most basic sense, all stories have a beginning, middle, and end. a Hook — an emotional tug that engages a reader/viewer. the Protagonist — the focal character of your story. Setting and Length — capture your audience fast and never keep them too long. Generally, if you follow this guideline, you can easily create storytelling marketing no matter what the scenario, audience, or brand. But let’s look at an example in order to understand the applied knowledge as opposed to just mere theory. Maltesers, the UK chocolate brand, launched an ad campaign in 2016 in which they addressed disability. The ad features a woman with cerebral palsy with two able-bodied friends sharing a personal story. The key here is that marketing executives at the parent company Mars consulted actual disabled people before creating the campaign. But in just 30 seconds, we know the kind of relationship these girls have with each other and even the relationship they have with the product. They are gossipping and sharing their favorite candy, right? And it includes representation, as well, in a respectful, realistic manner. This stands in stark contrast to the Pepsi ad from earlier which used real-life stories as obvious props to sell a product. Better still: you can identify all three parts of the formula right from the get-go. It is obvious that the disabled woman is the protagonist, the line “I got a new boyfriend” is the hook, and the setting is a friend meet-up. The timeline of 30 seconds is also perfect and could even be cut down to 15 seconds, I’m sure. Overall, one of the most important things to remember is to show, not tell. Shoving a product or service to the front of your ad will only turn away consumers. Your product should be a solution or partner in your ad, not the main event. Customers and viewers are far more savvy and critical of the ads they see these days. With that, you need to put story first — the positive association will push your product further forward than any conventional ad could. A good commercial will put the consumer in a good mood. The best way of doing that is always focusing on the story. With a captivated audience, the positive boost in sales and audience will always follow. Next time you are creating an ad, consider the three-part storytelling marketing formula and experiment a bit. You’ll probably find the campaign performing better than if you had just done a boosted ad on Facebook. Has social media made conventional advertising methods obselete?